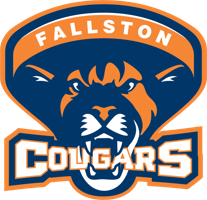 Fallston Lacrosse Club tryouts have been completed and all FLC teams are set. FLC registration will reopen for the 2019-2020 season in the late spring. Below are sizing charts for Fallston Rec Boys Lacrosse uniforms. You will be prompted during the registration process to select a uniform size for the 2018 season. Under Armour is the same manufacturer used last season so you can use the previous uniform as a sizing reference for the new uniform. If you are new to the program or have not ordered a uniform for previous seasons, please use the charts below as a reference. September 1st is the cutoff date for lacrosse registration age groups. To determine the correct age division for your son, please find the Month of Birth in the left column and scan right until you find the year of birth in the same row. The orange heading of the column matching the Year of Birth is the correct age group for your son. Players registering through the SI Play website will not be given the option of selecting an age group that does not align with the player's age as of September 1st. If a player wishes to participate in an age group higher than their birthdate (or, in the case of FLC teams, graduation year) indicates, a request to "play up" may be submitted to the Fallston Rec Lacrosse Board for review. The board will take all requests under consideration and may grant exceptions to the age groupings if circumstances warrant a change.